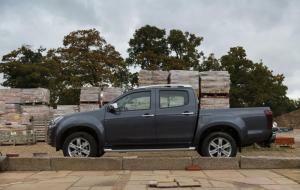 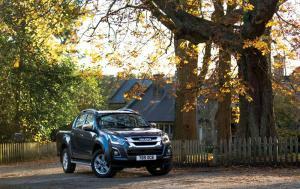 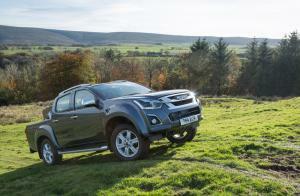 Pricing for the new Isuzu D-Max has been announced. 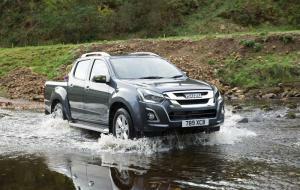 The new truck will continue the established range line-up of Utility, Eiger, Yukon, Utah and Blade, with prices starting from £15,749 CVOTR. 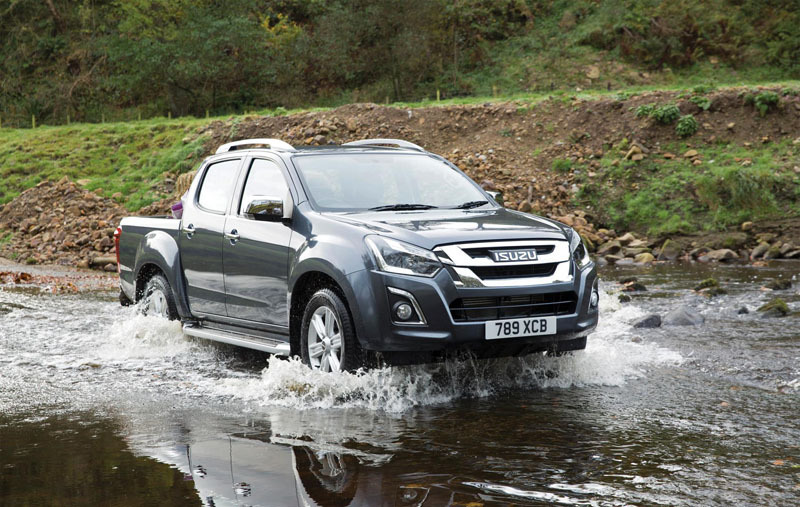 Entry-level Utility models are equipped with LED running lights, air conditioning, electric windows, Bluetooth connectivity, Hill Start Assist and Hill Descent Control. Eiger double-cab models add a reversing camera, 16-inch alloy wheels, body-coloured bumpers and a six-speaker CD stereo in return for £20,499 CVOTR. 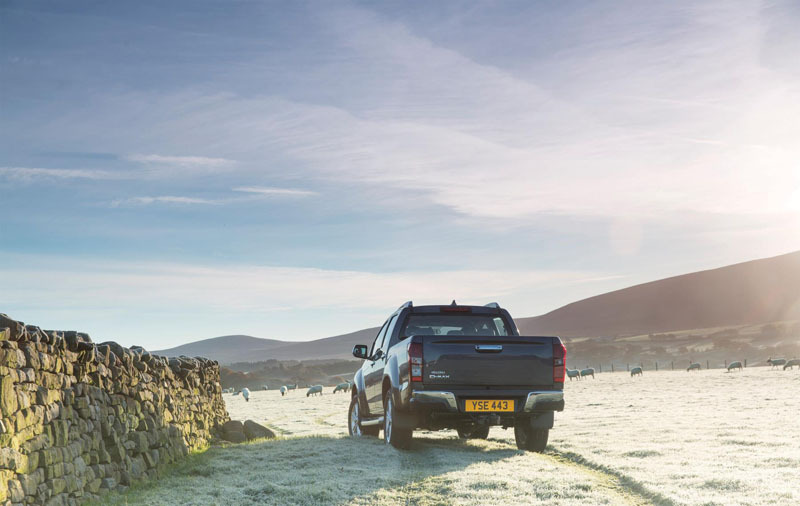 Identically-priced Yukon models feature 18-inch alloy wheels, silver side steps, 7-inch touch-screen, LED rear lights, cruise control, leather steering wheel and a load bed liner. 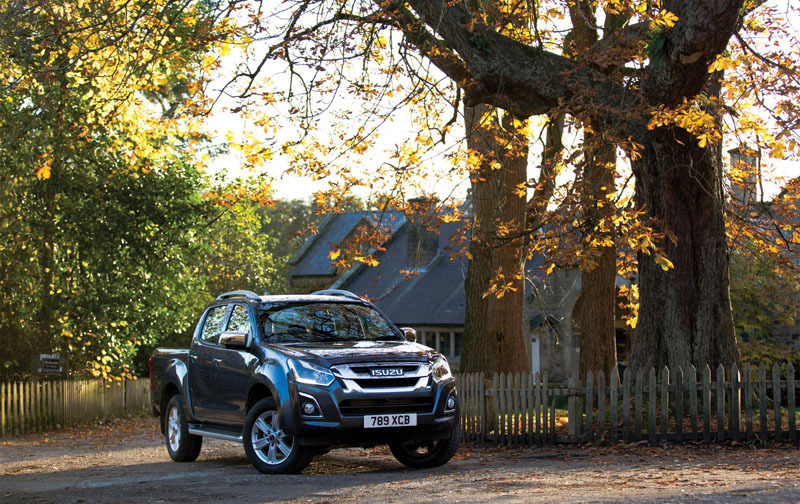 Utah models are priced from £24,149 CVOTR and include keyless entry, satellite navigation, DAB digital radio, Android Auto and Apple CarPlay, plus heated leather seats, climate control, and rear parking sensors. Priced from £26,999 CVOTR, the updated Blade range-topper brings tinted windows, 9-inch touch-screen, remote locking tailgate, Blade puddle lamps, front and rear parking sensors and a choice of either a colour-coded Aeroklas canopy or sports bar with roller cover. 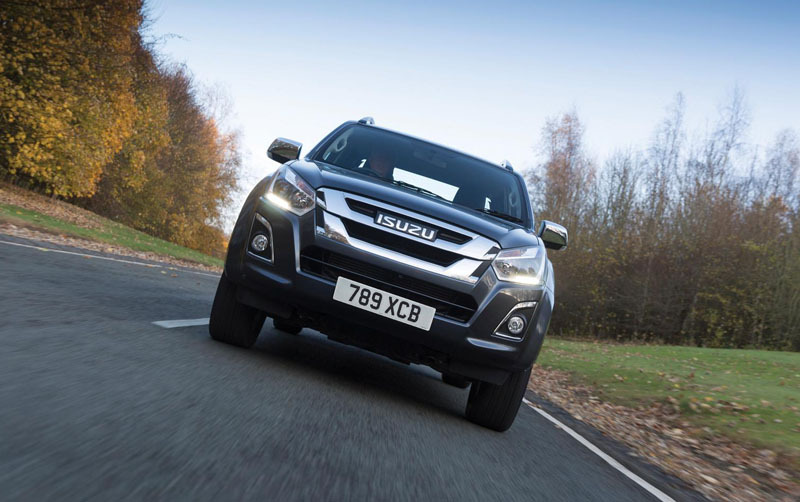 Power comes from a new 1.9-litre turbo diesel engine that develops 164PS and 360Nm of torque – almost identical power output to the outgoing 2.5-litre unit, but down on torque by some 40Nm. Isuzu confirmed that the new engine meets Euro 6 standards without needing AdBlue, and that the new D-Max will retain the current model’s 3.5-tonne tow rating and 1-tonne payload. 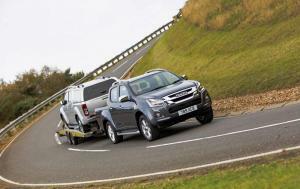 The 2017 Isuzu D-Max will also continue to be offered with the company’s five year, 125,000-mile warranty.